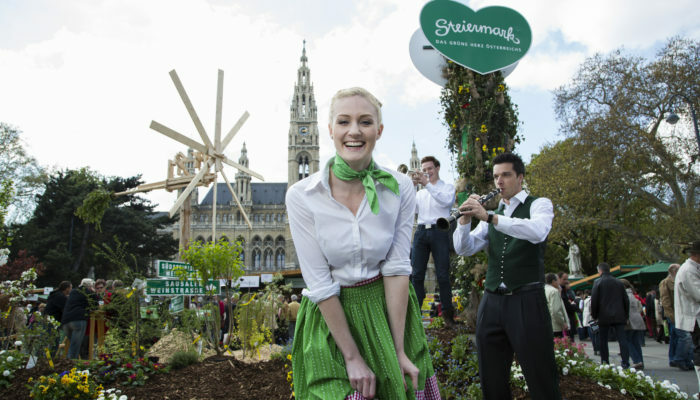 For the 23rd, the “green heart of Austria” invites you to visit the Town Hall Square in Vienna. 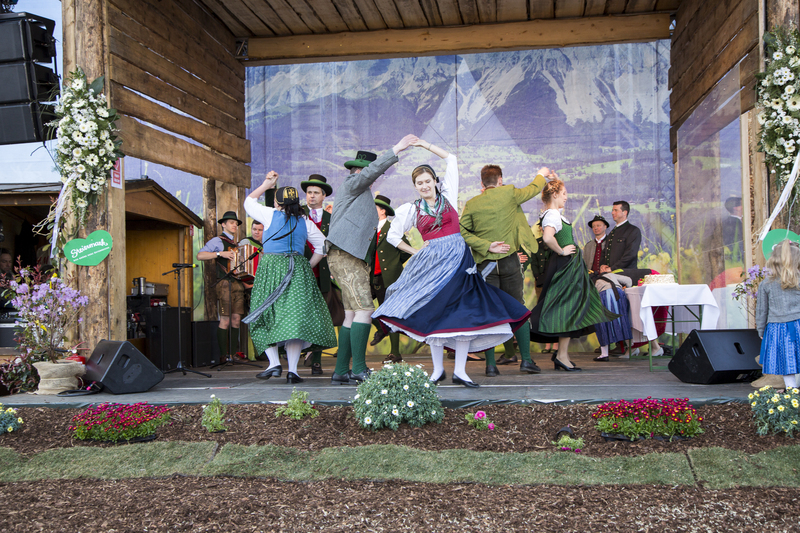 From the April 11th to April 14th 2019 the “Styrian Spring” will tempt you with hearty delicacies from the region, lively music, rousing entertainment and rustic warmth! 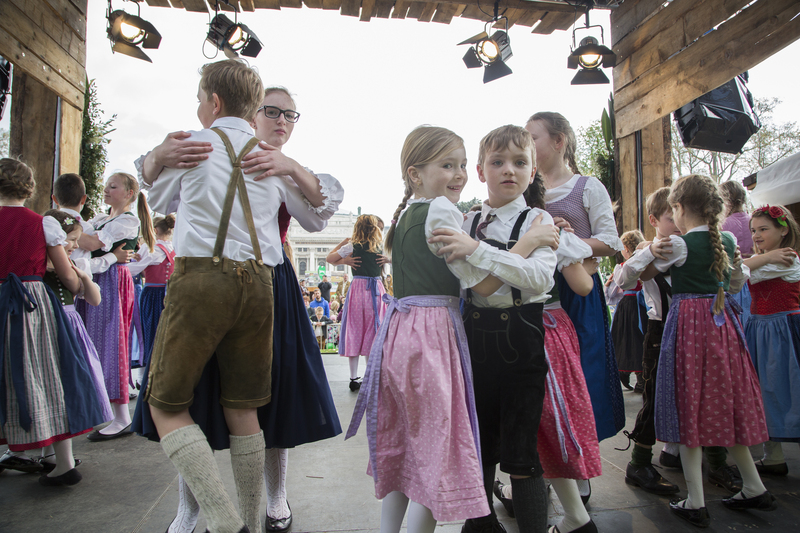 Experience up-close genuine Styrian customs such as setting up a maypole with a band dance or dancing, singing and plaiting (folk dance, involving alternate slapping of the knees, shoe heels and Lederhosen) to traditional brass music. 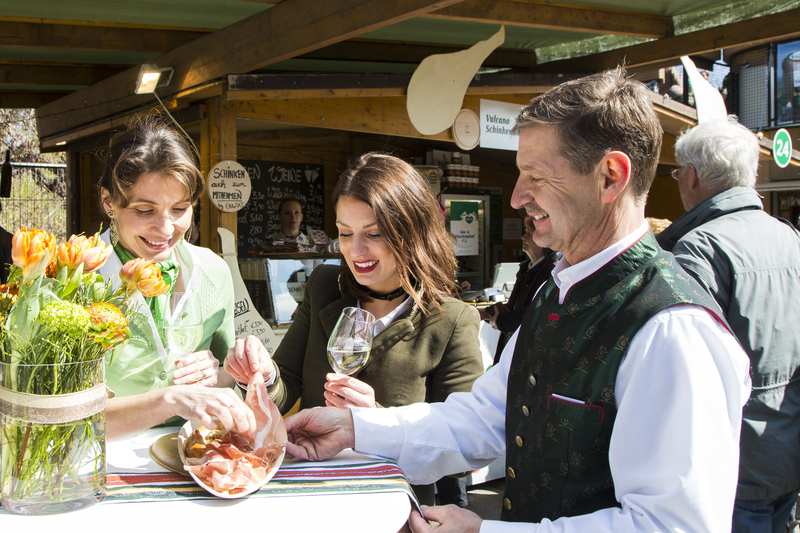 Enjoy in the warm spring sun regional Styrian delicacies as Ausseer-char, Southern Styrian wine and experience the first draft from a freshly tapped cask of beer by the traditional Gösser brewery. 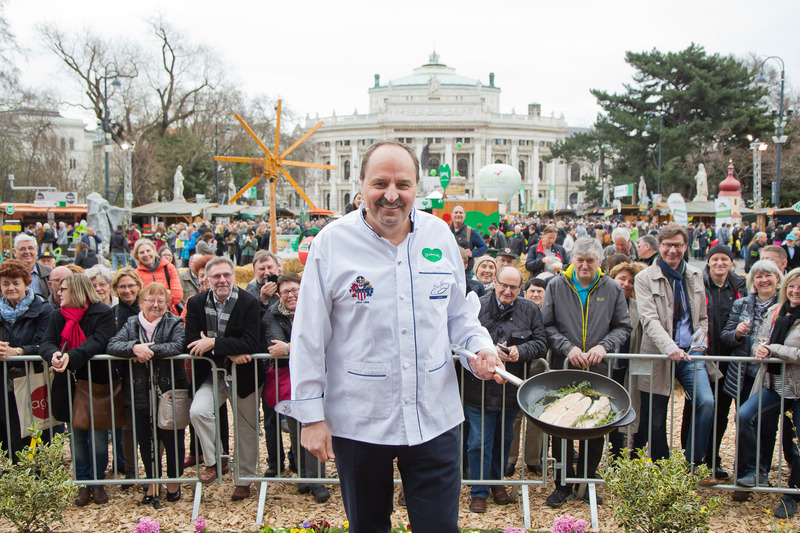 You can meet Styrian celebrities such as the daffodil princesses or the two star cooks and native Styrians Johann Lafer & Richard Rauch on Friday during a show cooking. The Styrian bike and mountain bike trails leave nothing to be desired, so this year is a focus on cycling. Visitors can expect a dexterity course, an e-bike simulator or a cycling snack. On Saturday and Sunday, visitors are cordially invited to participate in the Nature Park Rally. The main prize is a short break in the nature park. 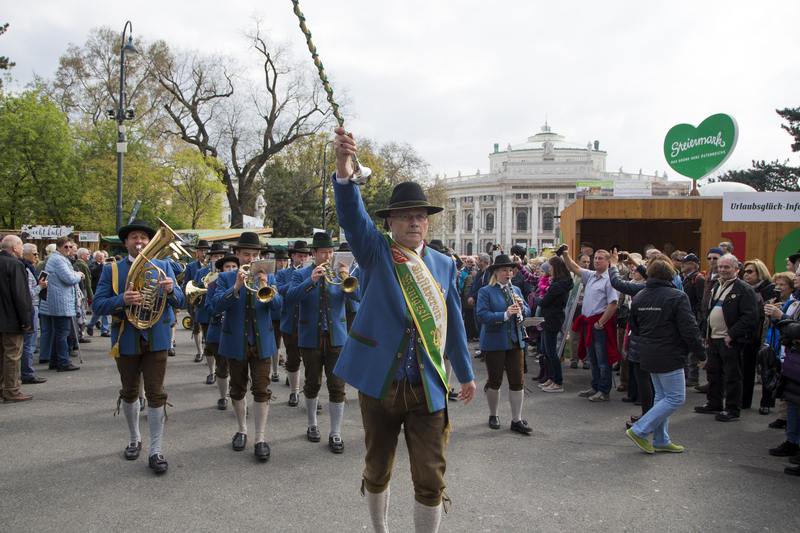 175,000 guests visit the Styria spring last year and enjoyed the special and warm atmosphere. From legendary tales, pastoral work and climbing tower over core oil, and donut baking to herbs guess and children’s make-up, this year the colorful program offers again fun and entertainment for young and old. 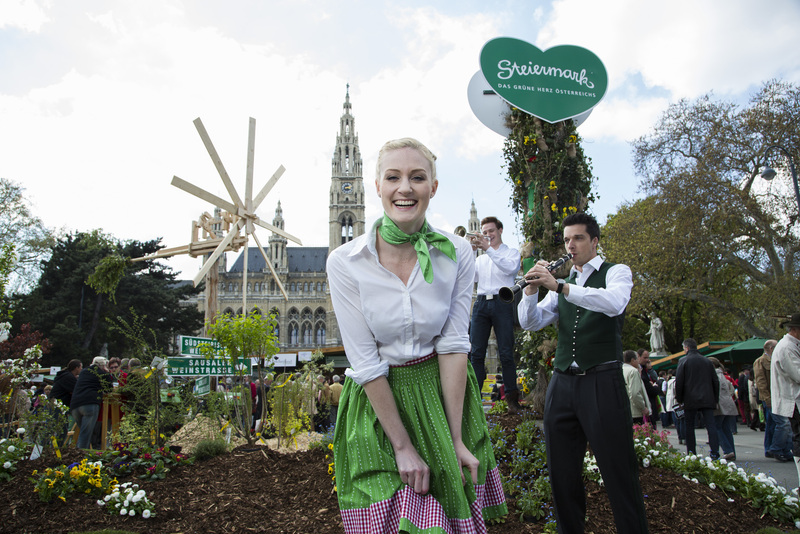 With music, culinary delicacies and, last but not least, the best offers for spring and summer vacations, great atmosphere is guaranteed every year at the Town Hall Square in Vienna ! As a fixed point around the “Styria Spring”, selected Viennese restaurateurs offers traditional Styrian specialties on the menu. During the Styrian weeks, Styrian pumpkin seed oil, pumpkin dishes, Styrian Vulcano ham and sheep cheese from Styria as well as many other delicacies will please the palates of restaurant guests. As in the past years, we are again are pleased to welcome numerous exhibitors and employees of the Styria Tourism in our hotel! 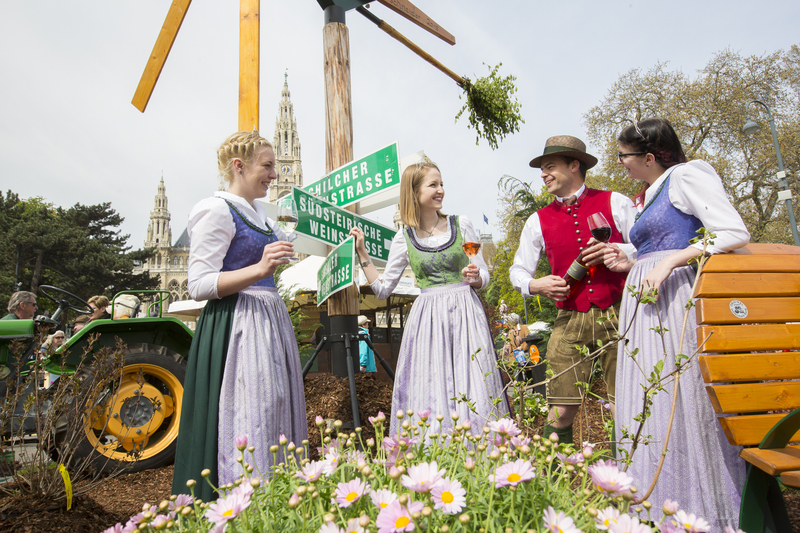 The extensive program of the Styrian Tourist Board can be found on the Websseite: “Styrian-Spring”. From Hotel Zipser it is only short walking distance to the Viennese Town Hall Square. In just a few minutes you are on the spot to experience and enjoy the Styrian-spring. Enjoy!